1. Intel Hawk Private Investigations (IHPI) is a subsidiary of The Sirius Group, LLC (dba Intel Hawk Private Investigations AKA intelhawkpi.com) and is a licensed private investigative firm. Clients of IHPI may not resell or redistribute any information obtained from IHPI for any purpose. Additionally, IHPI reserves the right to refuse services or to furnish information to any client for any purpose at any time. 2. All professional services are provided on an per search basis. 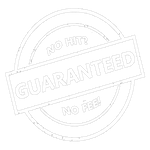 IHPI makes no guarantees, representations, or warranties regarding the information provided to the client. This includes, but is not limited to, the accuracy, completeness, timeliness, adequacy, suitability, currency, merchant ability or fitness for a specific purpose or request. IHPI disclaims all such warranties and does not render legal advice. If legal assistance is required by the client, advice of legal counsel should be sought at the client’s discretion. 3. Because intelhawkpi.com utilizes non-public, restricted, and sensitive information, clients may be required to provide a specific and permissible purpose for searches requested. The Client agrees that they will provide accurate, complete, and truthful information regarding searches requested. The Client also certifies that any search results will not be used for any purpose other than the specific purpose provided to intelhawkpi.com. In the event that the Client allegedly misuses any information provided to them by intelhawkpi.com, Client agrees and understands that IHPI will engage and fully cooperate with its data suppliers and government entities in order to investigate the misuse allegations. 4. Client agrees that IHPI is not liable for any damage, injury, or loss caused in whole or in part by IHPI negligence in performing the services requested or in interpreting, procuring, administering, or delivering information to the Client. In the event that IHPI is found liable for any damage or cost suffered by the Client, the liability is limited to only the professional fees charged for the services provided by IHPI that are in question. Under no circumstances will IHPI be held liable for ANY direct, special, indirect, exemplary, consequential or incidental damages. 5. The Client shall not request professional services or information (nor shall Client use or permit any third party to use any information provided by intelhawkpi.com) for any purpose that violates any applicable federal, state, or local law, rule, or regulation, including without limitation the Fair Credit Reporting Act (15 U.S.C.A.1681 et seq.). 6. Client understands that IHPI is not a consumer credit reporting agency as defined in the FCRA, and information provided by IHPI may not be used as a factor in establishing a consumer eligibility for credit, insurance, employment, housing or governmental licenses. Client agrees to indemnify and hold IHPI and its owners, officers, agents and employees, harmless against all claims, expenses, losses, including attorney fees, for anything that arises out of its misuse of the services or information provided to it by IHPI. 7. This agreement is governed by Texas and may not be assigned by User without the prior written consent of IHPI. Any legal action must be brought in Bexar County Court or Texas Federal Court. Performance of services by IHPI is subject to interruption and delay due to causes beyond its reasonable control such as acts of God, government, weather, fire, power or telecommunications failure, labor dispute, inability to obtain supplies, or breakdown of equipment. The terms set forth here constitute the entire agreement of the parties, and any additional or different terms or conditions set forth in any other document shall be of no effect. By clicking the ‘submit order’ button, you agree with the terms and conditions outlined herein and acknowledge that you have read and fully understand the search description(s) and parameters, for the ordered searches. **The 48 hour window begins after IntelHawk receives any and all supporting documentation and necessary communication (if applicable) related to your investigation. Failure to submit the requested documentation in a timely manner will result in a delay and will possibly exceed the 48 hour window from the time of purchase. 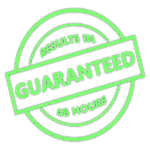 You ackowledge and agree that the "48 Hour Guarantee" is dependent upon timely communication and supporting documentation. If the appropriate communication and/or documentation is not received, your investigation will be ceased and your credit card will not be charged. **Note: if we require any further supporting documentation or communication, you will be notified via email. **If we are unable to retrieve any results relating to your investigation, your credit card will not be charged unless otherwise noted. **Note: This guarantee does not apply to the deteremined relavance of the data by the customer (i.e. if a vehicle belongs to someone different than you suspected). If the search type requested requires a phone interview of the client by an IntelHawk investigator (i.e. Find SSN search) and the client can not be reached after two contact attempts (at the time of the phone call or not responding to voicemails) within 48 hours from the second contact attempt OR after speaking with the client, it is determined by the IntelHawk investigator that the search requested did not have a pemissible purpose (permissible purposes as outlined on the respective service page), the order will be cancelled and the client will be still be charged 100% of the initial service fee to cover time spent and labor costs required for their search. If the search type requested requires supporting documentation (as determined by the IntelHawk investigator after review of the case) such as a driver's license, identification card, proof of residence, court documents, etc, and such documentation is not supplied within 48 hours after a formal request is sent to the client via email by the investigator, the order will be cancelled and the client will be still be charged 100% of the initial service fee to cover time spent and labor costs required for their search. Some search types have an additional state/county access fee in addition to the cost of the search (license plate searches, driver's license searches). If there is no information located with the information you supply, we will refund your full purchase price less the state/county access fee due to the fact that this is an up front cost charged by the applicable state to conduct the search regardless if any information is located.